The app is optimised for the JioPhone and lets users browse the Facebook News Feed, watch videos and more. 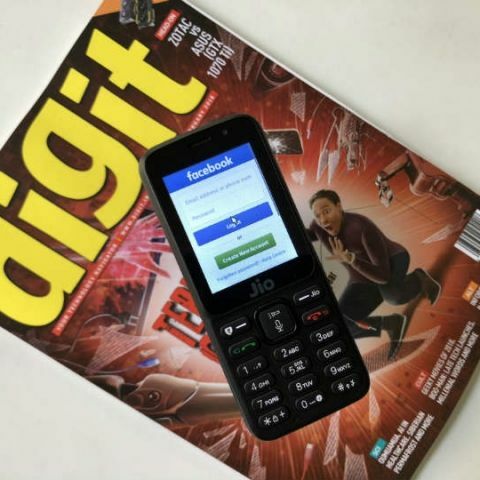 Reliance Jio has rolled out the Facebook app for JioPhone users. The app can be downloaded from the JioStore and lets users browse the social media website, receive notifications, watch videos and more. In order to download the Facebook app on the JioPhone, one needs to navigate to the ‘Social’ section in the JioStore. After locating the app, select and click on it and it will show an option to install it. A notification chimne will let the user know that the app has been installed. The app is similar to the Facebook Lite app. The interface is optimised to fit the small display of the feature phone and users can also access their messages within the app. A cursor lets users scroll through the news feed, access settings and more. As the company announced yesterday, the Facebook app can be downloaded by both new and existing users. The new app for the device also supports video playback, push notifications and the opening external links. Jio launched its 4G feature phone in July last year. The phone runs KaiOS, a forked version of the Firefox OS. The device comes preloaded with the company’s suite of apps like JioTV, JioMusic, and more. Besides facebook, the companyu had annoucned that it was bringign support for WhatsApp as well. However, there is no information yet on when the online messaging app will be released for the JioPhone.